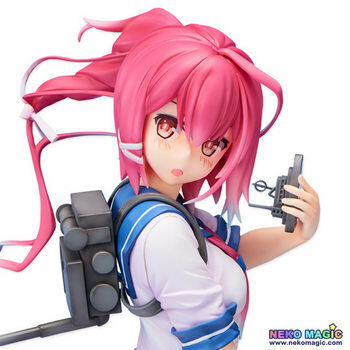 August 7th, 2014 By: GGT Category: 2015/04 release, Figure News. 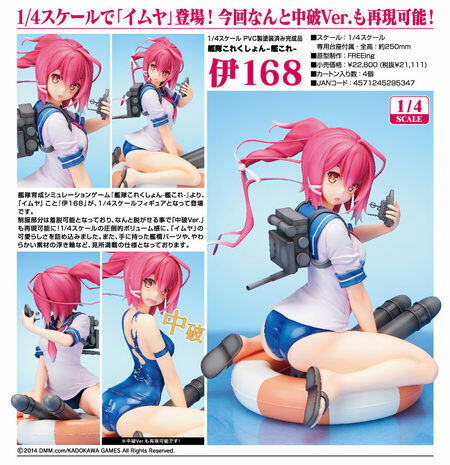 FREEing is going to release the I-168 ( 伊168) 1/4 PVC figure from the popular web game “Kantai Collection” ( 艦隊これくしょん ) developed by Kadokawa Games. Will be released in April 2015. Around 250mm tall, 21,111 yen. Castoffable. 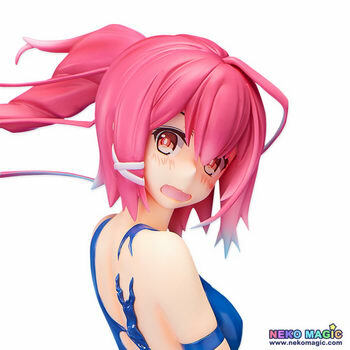 A 1/4th scale figure of ‘ Imuya’, which can even be switched into her half damaged version! From the popular naval simulation game ‘Kantai Collection – KanColle-‘ comes a 1/4th scale figure of I-168, also known as ‘Imuya’! Her uniform can be removed and she also comes with an alternate expression, allowing you to choose between her ihalf-damaged and standard versions! 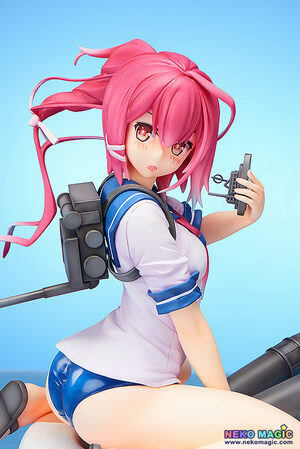 At an impressive 1/4th scale, fans can enjoy all the details of the cute Imuya to their heart’s content – but details have also been put into other areas of the figure such as the ship parts she holds in her hands, as well as the huge tube she sits on, specially made from a soft material.